Watch the sun rising off the horizon as the night fades over the Cape Hatteras lighthouse. 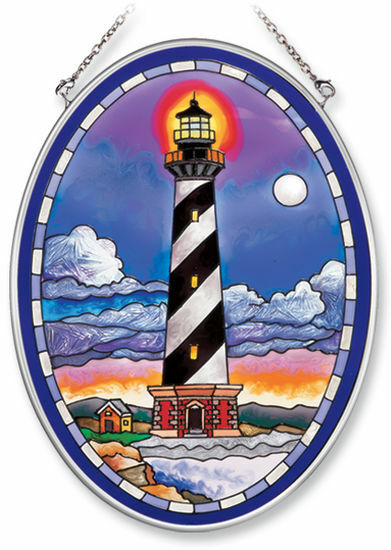 This beautiful stained glass suncatcher will brighten any window or room. Amia stained glass suncatchers include hand painted ripple glass with removable chain.